For the month of January 2015, we selected Alex Aird as our Student of the Month. He receives his tutoring in Chino Hills. 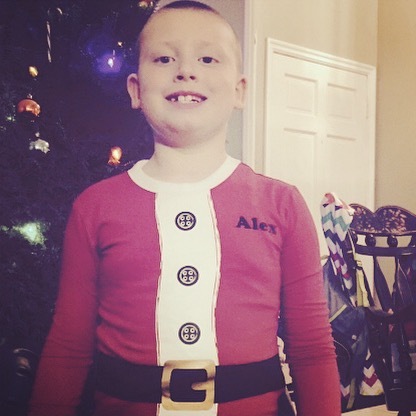 Alex is a 1st grade student at Butterfield Ranch Elementary School. We have been working with him since the start of the school year. He is currently working with our tutors Jennifer and Yessenia to help him improve his reading skills. Thus far, Alex has proven to be a delight to work with. We have been working with Alex for about 4 months now and, right from the start, we knew he was destined to be one of our Students of the Month. The tutors that have had the pleasure of working with him have said nothing but wonderful things about him. His main tutor, Jennifer, describes Alex as “a wonderful student who is always full of so much energy and joy.” She went on to say, “he never fails to bring a smile to my face. He is always so playful. Also, he is able to find so much excitement in the smallest things, which makes me so happy.” It is clear that Jennifer really enjoys working with Alex due to his contagious personality and his desire to make everyone as happy as he is. While working together, Jennifer has seen great improvements in Alex’ reading abilities; Alex is now able to identify words a lot faster, and he is a much faster reader because of that. Jennifer says she is delighted and extremely proud by how much Alex has progressed in just a few short months. She is eager to see how much he continues to grow with her continued guidance, his positive energy, and the support of his wonderful parents.